If you've never experienced addiction, it may be hard to understand. What motivates an addict to pursue their addiction despite the costs? Each person's experience of addiction is unique. This article is intended to encourage understanding of people with addictions, not to represent or stigmatize any individual or groups. Imagine for a moment, that you never really felt comfortable with who you are. It could be because you failed at everything you tried, or because you were never satisfied with the level of success you did achieve. It could be because you had thoughts and emotions that made you feel different from other people, particularly if you felt you weren’t as good or as lovable as others. Or perhaps you were actually told, or shown, that you were no good, worthless, or that you existed just to meet other people’s needs. None of the things that the people around you felt good about felt good to you, either because you were denied them, or because the experience was hollow and unsatisfying in some way. 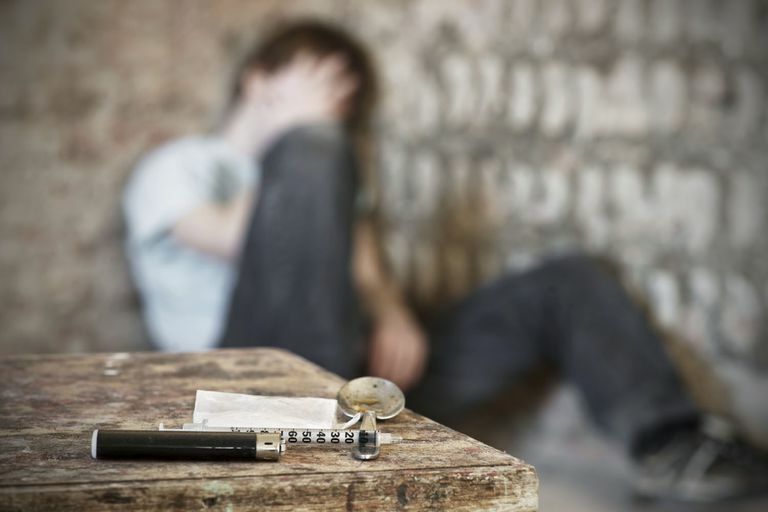 It might be easy to get what feels good —​ for a food addict, a quick trip to the corner store and a few dollars can replenish your M&M supplies — or it might be difficult, for a heroin addict costing a lot of cash, significant risks, and interaction with people you can’t trust. But compared to the emptiness of what you felt before, investing in the chance that you could again feel good about yourself and about being alive is what matters. Sure, other people don’t understand. But that just makes you want to spend time with people who do understand, whose addictions make them feel exactly the way you do. You don’t even need to talk about it with them — between you, there is already an understanding. So now you don’t feel like an outsider, you feel like an insider, a member of a secret club. Of course, there is a price to pay. You may put on or lose weight, experience health problems or lose a lot of money, things or relationships. But none of that made you feel happy anyway, and, at least for a short time, your addiction does. The more people criticize you, the more you want to seek comfort in that good feeling you get from your addiction. The more others lecture you about what you should be doing with your life, the more convinced you are that they don’t know what they are talking about. Sure, you wish what they were saying was true, but underneath, you know that a normal life was never for you. Except you long for a normal life. You wish that you could take satisfaction in the things that seem to make other people happy, such as graduation, a career, and a family. But to get those things, or to experience them the way you want to, you would have to believe in yourself and that self-belief has always eluded you. Most addicts struggle with a double life. You try to keep your addiction secret from most people, most of the time, even when it is quite obvious to those around you. You have a hard time admitting to yourself that being an addict is a problem because no matter how fleeting, your addiction gives you that moment of everything being OK. You want a cure that will take away your addiction but won’t put you back where you started, with all the losses you have built up while you have been addicted. And that cure is possible for every addict. But it does mean facing the problems that caused the addiction in the first place, the deep dissatisfaction with yourself and your life, and taking responsibility for how your behavior affects other people. It means learning how to experience a gentler sense of pleasure in the small things in life and coping with the many challenges and imperfections of life, without retreating back into your addiction. Which means accepting being human, just like everyone else.